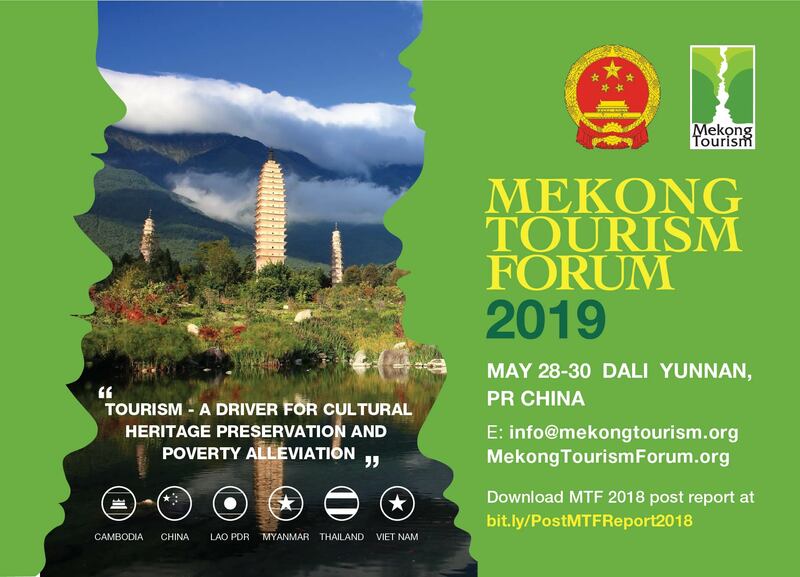 China, the host for this year’s Mekong Tourism Forum, will require delegates to sign up for an inclusive package to attend the event scheduled 28 to 29 May in Dali, Yunnan province. Mekong Tourism Coordinating Office executive director, Jens Thraenhart, confirmed in the latest MTCO newsletter that the conference would remain free for delegates but they would be required to select a bundled package covering hotel accommodation, meals, transfers and a cultural field trip to Xizhou ‘ancient town’. Delegates will still need to secure a visa for the PRC, pay for the airfare to Dali, or a rail transfer from Kunming, outside of the forum package cost. According to a precedent established in recent years, the host destination offered free registration on a first-come, first serve basis, while all other expenses, apart from the forum’s lunches, coffee breaks, gala dinner and local land transfers, were personal expenses. They usually had a choice of three hotels at different rates, served by bus transfers to and from the meeting venue. Delegates could find their accommodation and book their transfers to the venue. Registration has yet to open, based on the statements made by Thraenhart in the MTCO’s newsletter published Monday. Details remain sparse. A YouTube video posted by TravelNewsAsia at the close of the May 2018 MTF shows a director of the Yunnan Tourism Development Organisation, Fang Limin, extending the official welcome to Dail in 2019. In her presentation she outlined transport options saying Kunming was linked to Dali by 35-minute domestic flights, the road transfer would take four hours and a by new high-speed train service just two hours. She claimed a new direct airline route would open between Dali and Bangkok by May 2019. TTR Weekly filed a request to the MTCO director for further information. Thraenhart said details were still being finalised. However, in an update early Tuesday, morning Thraenhart clarified that there was a cap on foreign delegate registration to meet Chinese regulations. “Also, we need to reduce no shows. In past years, no shows were significant, (because) registration was free, and people just registered but failed to cancel when they were unable to attend. “We hope that (the new) process will enable us to give the Chinese authorities accurate registration information, as requested”, he explained.